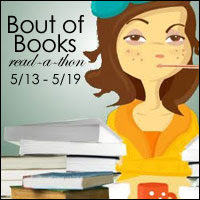 #BookChat is a feature on my blog where I make discussion posts on anything book-related. So, let’s chat! As book lovers, we all have our own little reading habits and bookish quirks. These habits may have started in childhood and stayed with us as we’ve grown. Or maybe they’re brand new habits that you’ve recently just discovered. Once I got into book blogging, I’ve noticed how much I’ve changed as a reader and unearthed some bookish quirks I’ve either attained or realized I’ve always had. Let’s say you walk into a bookstore and simply search the shelves with no particular book in mind. You let your eyes wander when suddenly a book catches your eye. You have never heard of the title or author before, but feeling adventurous you flip to that first page and read. How much does that first sentence affect your need to read that book? This discussion idea occurred to me after making my Teaser Tuesday post where I shared the first two sentences in the prologue of The Theory of Everything by Kari Luna. Normally, I never give a second thought about the first sentence in the book, but then I realized how much I really loved those first two sentences in The Theory of Everything. Despite the shortness of length, those two sentences are enough to make me think, “I am going to love this book!” Obviously as I read the rest of the book my opinion may change, but by those few sentences alone I am further hyped to read this book! This is not limited to just the first sentence of a book, but could also expand to the first few pages you read. I have had instances where I pick up an unknown book at a bookstore, open to a random page in a book, read a couple of pages and immediately take with me to the cash register. A specific example was when I was perusing the Young Adult section of Barnes & Noble. At this time, I was fairly new to the YA genre and didn’t have any idea of what kind of book I would enjoy reading. I searched around, picking up books and reading the little blurbs. Eventually, I spotted Clockwork Prince by Cassandra Clare. I’ve seen this series around the internet for some time, but didn’t really know anything about it. The cover was enticing, the synopsis inside the flap seemed interesting enough and my curiosity bested me; so I flipped to a random page. Lo and behold, I had flipped to the page where Tessa and Jem had an intimate bed scene (you know what I’m talking about ;D). I read a few pages further and was hooked. I had to have this book. I didn’t care that I haven’t read the first book, or was even entirely sure I would like the rest of the book. I like what I read, I needed know to more and it needed to be mine. What about you? Do the first few sentences or pages influence your need to read a book? Without knowing anything about the author or book (series), what convinces you to read that book? Want to read more book-related discussions? Check out Let’s Discuss!